2017 Ford F-150 – Get up to $5,250 cash back on the best-selling vehicle in America. You can also take advantage of 5.9% financing for 84 months. The F-150’s aluminum bed and body make it the lightest truck in its class and available features like pro trailer backup assist and blind spot information system with cross-traffic alert and trailer coverage offer terrific utility. 2017 Chevrolet Silverado – Chevy is offering up to $3,500 cash back OR 3.9% financing for 5 years with $2,500 cash back. With a standard backup camera on most models and teen driver watchdog mode across the line the Silverado is loaded with features and has plenty of room for passengers and cargo. 2017 Ram 1500 – It shouldn’t be much of a surprise that the top 3 vehicles in the U.S. are pickup trucks. Get up to $4,750 cash back or 0.0% financing for 3 years AND $3,250 cash back on the Ram 1500. With an eight speed automatic and several engines and trims to choose from the Ram line offers something for everyone from work truck to luxury off-road weekender. 2017 Toyota RAV4 – If a crossover is more in line with your needs check out $2,000 cash back on the Toyota RAV4 or 6 year financing at 0.0%APR AND $1,000 bonus cash. With collision mitigation, lane departure warning, automatic high beams and adaptive cruise all now standard along with the 176-hp, 2.5L four-cylinder engine and six-speed automatic, this is a zippy and sporty utility vehicle. 2017 Nissan Rogue – Get up to $1,750 cash back or finance with 0.0% APR for 72 months AND $500 cash back. The Rogue is very comfortable and has great cargo capacity when the 3rd row seat isn’t in use. The hybrid option promises a gain of 7 MPG and there are many convenience and safety options available. 2017 Toyota Corolla – If a passenger sedan is more your speed get up to $2,000 cash back or 0.0% APR financing for 6 years AND $500 cash with the purchase of a Corolla. The Corolla is loaded with standard safety features including forward collision warning & automatic braking, lane departure warning with steering assist and automatic high beams as well as a backup camera. 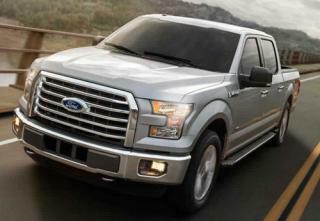 Great fuel economy and reliability make it a solid value for the price. For more great deals, check out this article on Forbes.com. For more great deals on a new vehicle, let AutoBuying101.com help you compare dealer quotes, shop for insurance, and research new autos. You can be driving away in a new vehicle this weekend.